I am looking for seeds of temperate climate Eriobotrya species, so relatives of Eriobotrya japonica (Loquat). On page 11 and 12 they talk about the possibility of using wild Loquat species as rootstock for commercial Loquat production and mention Eriobotrya fragrans as an even cold-hardier species than japonica, although the native distribution area in Guangdong makes this seem unlikely? Anybody who lives in a colder climate in East Asia and wants to send me some seeds of Loquat relatives? Buy or trade. So I made a non-scientific list of some Eriobotrya species and their USDA hardiness zones, based on sources I found online. So far it looks like E. fragrans would be the most promising species in terms of hardiness. Yeah that doesn't look right. Why would it be 5/8/9... and not 5/6/7/8/9...? It looks like they're native to the mountainous southern China and northern Vietnam at around 850m. From what I've read that area doesn't get that cold, probably somewhere around -2 C or so annual low. From what I've read loquat (japonica) grows in Seattle, but only sometimes sets fruit there, and that's 8b, almost 9a. If I were you, I'd be looking for one with a native range farther north. Seems like Eriobotrya hookeriana or Eriobotrya petiolata might have potential, as they're from the eastern Himalayas. I see hookeriana is reported to grow in a city called Trongsa. From the climate data there: https://weatherspark.com/y/111894/Average-Weather-in-Trongsa-Bhutan-Year-Round it looks like they dip into the teens (F), so maybe like -8C? It can probably take a bit below that, but maybe not 14C, to get to 7a. If you're just looking for rootstock, quince works and is hardy below 7a, but from what I've read the loquat flowers wouldn't set fruit if they freeze. Well, I made the list using the two sites below, one being a book with some Eriobotrya species and their distribution in China (not neighboring countries) and the other being a USDA zone map of China. I couldn't find any ready-to-use zone information for most species (other than japonica and deflexa), probably because those species aren't being cultivated outside their native range. If you look at the uppermost left spot for E. fragrans in the book and compare it to the zone map, that area is supposedly zone 5. The rest of its native distribution area is zone 8+ though, so I didn't write the zones inbetween. Established E. japonica trees are hardy to about 12°F (-11°C), so zone 8a. According to the paper from my first post, E. fragrans is hardier than japonica. Probably not zone 5 though. Regarding fruit in colder climates, at least E. japonica, the regular loquat, has an unusual flowering habit in that they flower in fall and bear fruit in spring. So in any area that has temperatures below about 27°F (-3°C) in winter, fruit is unlikely. But you can still grow the plants themselves, e.g. as evergreen ornamental. In the best case, there would be a hardier relative of japonica that flowers in spring and bears edible fruits in fall. But I would be happy with anything that is a bit hardier than japonica, so that I could attempt growing it in zone 7 with protection. The paper mentions quince rootstock on page 11, stating that is is mostly used for its dwarfing effects in commercial fruit production but that it isn't compatible with all varieties and leads to zinc deficiency in the plant. Do you think it would make the trees hardier? Aren't they more resistant to the cold on their own roots? Both of them can also be found in the north of the country, where the hardiness zone is 6. So Eriobotrya elliptica, fragrans and hookeriana should be a good choice. But I have no idea when they flower and fruit. The other problem is, where do we get those species? The area where E.fragrans occurs in zone 5 (China) is not that populated. For the species of nepal, I wrote to a nursery in Patlekhet, Nepal, but until now they have not responded. I have overlooked the flowering and fruiting time, sorry. E.hookeriana flowers october-november and fruits march-june. Whereas E.elliptica flowers in april and fruits in june. So E.elliptica would be the better option. Or is hookeriana better? I think it depends on how frost hardy the flowers are and if the frost risk in your area is higher from october to november or in april. With regard to E.fragrans, I don`t know anything about flowering or fruiting time. I found a few japonica plants over the last years around here in northern Germany. Cold hardiness seems to be fair enough. Just some weeks ago I found a small tree in a village nearby. The owner told me it is around 8 years old. In the yard of the town house here in Luneburg there were real trees up to 3-4 m high until 2 years ago when they were cut down. We are in USDA zone 7. What is missing is a variety which flowers in late spring. E. elliptica sounds interesting. I was thinking about an hybrid variety called "coppertone". Might be different? Any experience? Nice to hear about the Eriobotrya japonica trees doing well in zone 7(a). Some resources say that they are just hardy until zone 8(a), but I think older plants will be hardy until Zone 7. Some also say that Coppertone is a hybrid between E.japonica and Rhaphiolepsis indica. (What would be a bit better, because E.japonica is hardier). Rhaphiolepsis indica itself is hardy until zone 7(a) or 8(a) (statements vary). All a bit cold hardy, but nothing really hardy. A Coppertone hybrid (with E.japonica in it) could be worth a try. But if we could get our hands on species like Eriobotrya fragrans, elliptica or hookeriana, that would be a real game changer. Hello, sorry for the late answer, I didn't have time up until now. Unfortunately, it seems that E. Elliptica is not very hardy. I found a paper about a specimen in the Kew Royal Botanical Gardens in London with lots of information. They mention that it is too frost-tender for a cultivation in Britain, which is an important information considering that the regular loquat, E. japonica, is hardy through most of the UK (according to the Royal Horticultural Society). E. fragrans flowers in Apr–May and fruits in Aug–Sep. E. petiolata, which was mentioned earlier, flowers in March-May. The winters in the city are definitely milder by a few degrees though. I've heard of "Coppertone", but there are various sources giving different information. Many nurseries seem to either sell a regular E. japonica cultivar under the name Coppertone or have mixed up their description text and pictures with E. japonica. For Coppertone, you can find everything from "flowers in fall and bears edible fruit in spring" to "flowers in spring but doesn't form fruit at all". I found this paper, but it is also very vague. It doesn't mention the flowering time but says that Coppertone doesn't form fruit at all. Anybody who can confirm/deny this? E. deflexa itself isn't very hardy though, so even if Coppertone is a bit hardier because of its other parent (most likely R. indica? ), I doubt it would do well in colder climates. Bronze loquat is the common name for E. deflexa. Coppertone is a hybrid, most likely between E. deflexa and Rhaphiolepis indica. Yes it seems like the individual plant at Kew is not at all hardy. But in the paper they mention:„Seeds were gathered by him at Phulchoke, to the south-southeast of Kathmandu on the road from Lalitpur, due east of Godawari.” (Which, I think is hardiness zone 8 or 9). What I think is really strange is that it just can tolerate temperatures down to 7 °C (44,6 °F). That would be even to frost tender for zone 10. 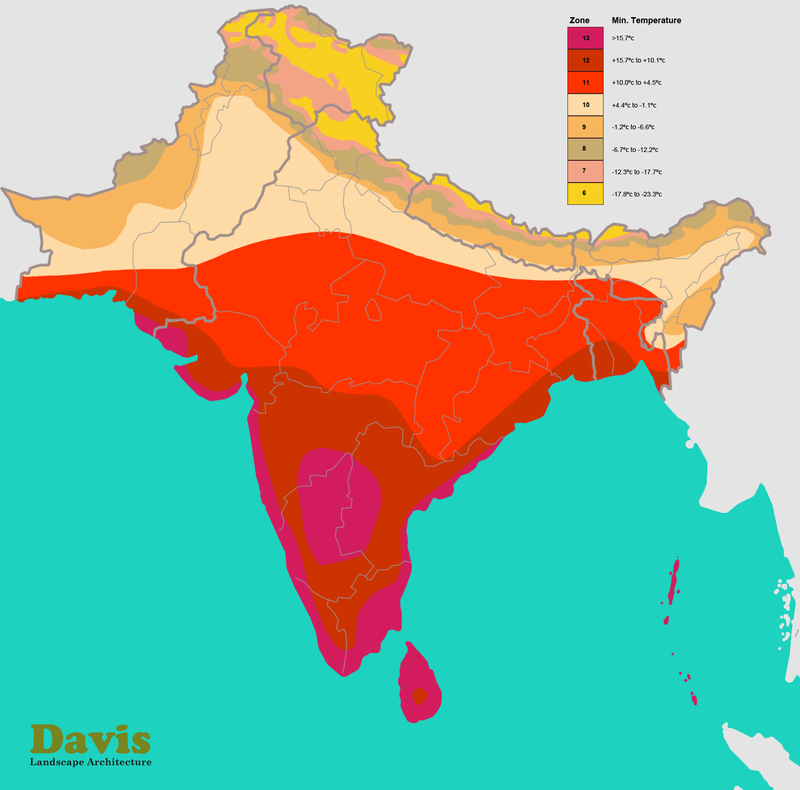 (The warmest hardiness zone in Nepal). If you take seeds from a individual in the north (hardiness zone 6), the plant should grow well in zone 7. Good point @Mangifera08, I had not considered the possibility that it could just be a specimen from the warmer regions and not represent the full hardiness potential of E. Elliptica. After all, they talk about the same thing for E. japonica cultivars in the Breeding Loquats paper on page 10. Thank you very much for the screenshot, since I tried to open it with another browser, but it doesn`t work. Thanks for mentioning this page of the paper. I thought that every older loquat would do fine in zone 7, especially if it is crossed with another hardier species. (Maybe they do, if they have a very hardy crossing partner). But in case you want to breed a Eriobotrya, that is as hardy as possible, you should also choose a Loquat cultivar, which is as hardy as possible. Great news, it appears I am not the only one who had this idea. There is very recent research into producing loquat hybrids to shift the flowering period into spring and create more cold hardy specimen which "could even enlarge the cultivated area of loquats"
In combination with the many hybrids that were mentioned in the paper @mikkel linked, development seems pretty promising. I also found a paper about natural hybridization between E. japonica and E. prinoides. Unfortunately, E. prinoides also flowers in winter, which is why they could hybridize naturally in the first place, but which also makes it less suitable for cultivation in colder climates. But in case you want to breed a Eriobotrya, that is as hardy as possible, you should also choose a Loquat cultivar, which is as hardy as possible. japanese genebank NARO has several accessions of Eriobotrya. if there is no import restriction they can send worldwide. Evaluation data for each accession is useful. How do you get accessions via bgci? Do they send seeds or cuttings? Do you have rootstocks? You can make a request for certain plants and BGCI sends your request to botanical gardens that have this plant in their collection. If a botanical garden is interested, they can contact you via email. I haven't used the BGCI website before, I only found them via Google. I have five seedling loquats (E. Japonica) that I could use as rootstock. I could also buy a quince from a local nursery. But if the two listed botanical gardens that have those species are located in Asia, seeds are probably the only way. I don't think shipping scions from e.g. China to Austria would work out.